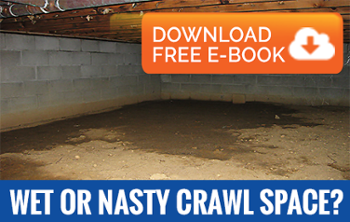 Not only does a damp basement create a musty smell throughout a home, but it can also create problems with mold. This often leads to health problems when the aroma of of mold spores and mildew circulate the home. It is important to keep moisture out of the basement because it can cause structural damage as well. If you are having moisture issues in your basement it is important that you hire a professional to eliminate the problem. AdvantaClean of Durham is your ideal choice for basement mold and moisture control because we are certified experts in both of the fields. Basements are either comfortable living spaces in the home or merely used for storage. Either way, finding mold or moisture in the basement can cause serious damage especially if it goes undetected for a period of time. If mold is found growing in the basement we can take care the issue and get to the root of the problem. We have basement waterproofing, dihumidification, and water damage services designed specifically for this area of your home. You can normally tell if your basement has a mold or moisture issue if your home starts to have a mildew stench circulating through it. If you notice damp floors, foggy windows, or black mold growth seek a professional before the issue becomes to large. For more information about our basement mold and moisture services give us a call today.